One of the most popular holiday spots for Australians within their own country, I’ve been lucky enough to call the gorgeous, coastal town of Noosa home on and off for almost a year now. This means I have a pretty good idea about the best budget-freindly things to do here! Regularly described by both locals and visitors as a mini-paradise, this fantastic spot on the Sunshine Coast in Queensland certainly lives up to its region’s name, with gorgeous warm weather almost all year round. For a cold-detesting pommie this is great news and one of the things I love most about living here. The other is the healthy, outdoors lifestyle the sunshine promotes. I mean anywhere you can swim in the ocean before and after work most days of the year can’t be bad – especially when you can share the waves with dolphins, turtles and the passing seasonal whale! On top of that, Noosa boosts a ton of different sports to try, as well as some great alfresco dining and wonderful weekly markets. There are also plenty of great spots to explore on day trips from Noosa, such as the beautiful rolling hills of the Noosa Hinterland and the awe-inspiring nature of Fraser Island. Outside of the holiday seasons, things tend to be pretty quiet round here, which also makes Noosa a great spot to unwind, relax, reflect and remember what it is we really hold dear in life. Enjoying views from one of the many beautiful beaches is a favourite pastime of mine, along with regular yoga classes, walking, reading and meeting friends for a cup of the best coffee in Noosa. So if you’re thinking of coming to share a slice of paradise with me, here are my recommendations for the top 5 budget-friendly things to do in Noosa, Australia. 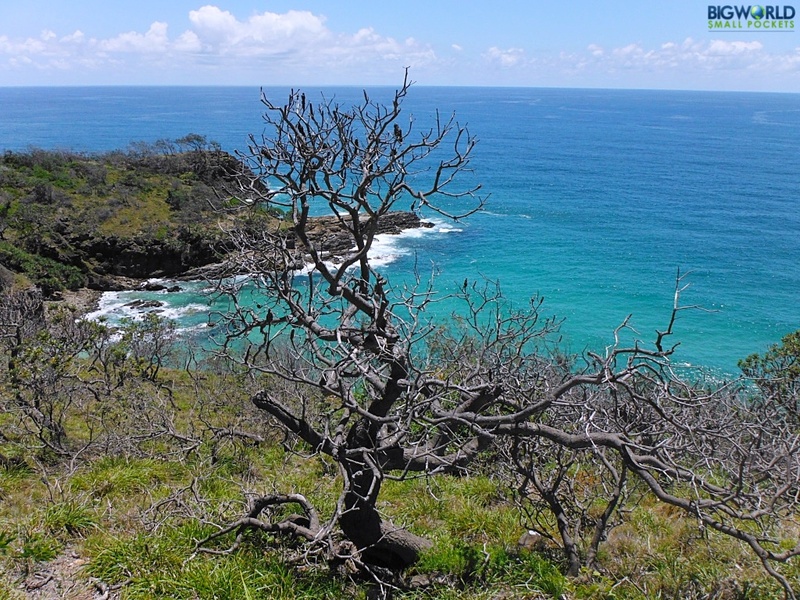 Coming in at number 1, is exploring the wonderful Noosa National Park I have right on my doorstep. Starting literally 10 minutes from where I live, this coastal reserve boosts a wealth of walking trails, as well as some great lookout points and secluded beaches. If you visit between June and November, you might be lucky enough to catch sight of the migrating humpback whales from one of the cliffs or even an endangered koala clinging to a tree if you keep your eyes peeled. Dolphins, turtles and rays are also frequent visitors, but even without them the views across the blue ocean and white sand are mesmerising. Take your swimmers and enjoy a dip from one of the bays or grab your runners and enjoy a healthy morning jog. Either way, Noosa National Park is a best seller… and it’s free! 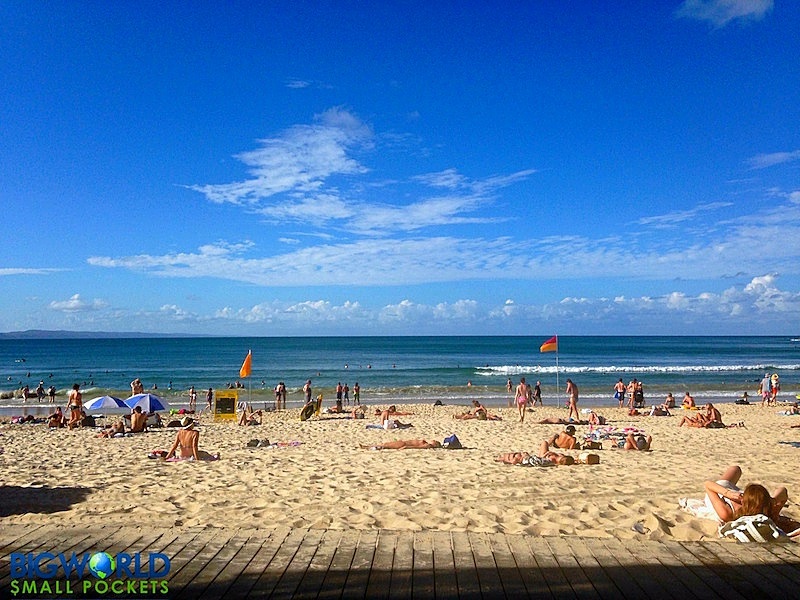 If you’d like to stay in Noosa, my post about cheap accommodation in Noosa for some great budget options. If you’d like to take a day trip to either the Eumundi Markets or the Hinterland, then I recommend con-x-ion, who offer some great shuttle and tour services. If I’ve got a day off and aren’t going to Noosa National Park, then you’ll probably find me down the river trying to stay on a rented paddleboard. I’m not that great, but I do enjoy it! A great relaxing form of exercise, it’s also fun and safe on the river as even novices like me can leisurely make their way upstream without having to worry about currents or waves too much. Grab a friend and paddle up together. It a great way to catch up … so long as you don’t lose your balance! Prices start from around $20 per/hr for boat rental. 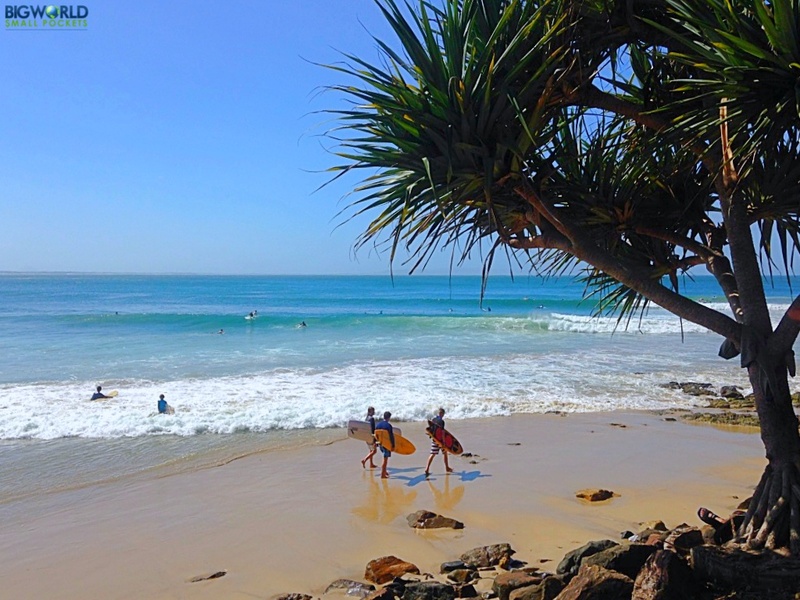 If catching waves is more your thing, then Noosa is a great place to practice your surfing skills, or to learn them. From Main Beach, to Sunshine Beach or Tea Tree Bay in between, there’s plenty of waves to choose from. There are also a number of great surf schools that can help you get started, or just rent you a board if you already know the basics. Prices for board rental start from around $20 per/hr, but many Noosa hostels have free boards you can borrow if you stay there. Taking place every Wednesday and Saturday morning (Saturday is the bigger day) Eumundi Markets in the Noosa Hinterland offer a fabulous array of locally grown foods, handmade crafts, live music and beautiful artwork. There are also a host of tempting food and drink stalls where you buy a healthy snack or little treat as you shop. As Australia’s premier artisan market, with a wonderfully bustling vibe and friendly characters, this is an opportunity you simply can’t miss. Entry is free and there is always free live music to keep you entertained even if you can’t afford to buy anything! 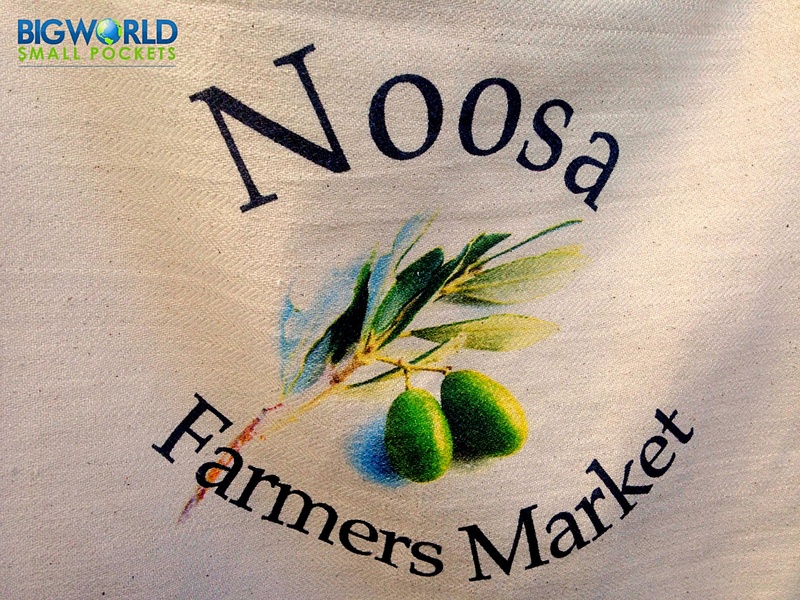 If you’re into markets, then Noosa Farmers Market, held every Sunday morning is another free must-do. Great for organic fresh produce, this is the place to buy local veggies straight from the ground for cheap! 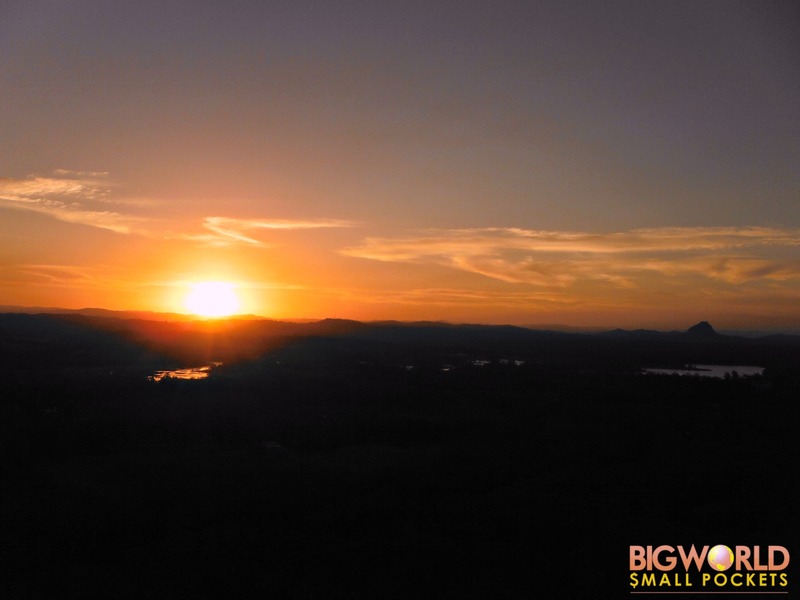 If you’ve watched the sunrise over the pacific that morning, why not finish the day but watching it set over the rolling hills of the glorious Noosa hinterland. This can easily be done along Noosa River, when the colours of the departing sun bounce beautifully off the water. Take a picnic and enjoy the free BBQ area along the foreshore or treat yourself to a wonderful meal in one of the many Gympie Terrace restaurants, where you can sample food from across the globe including Thai, Brazilian, Italian and Greek. Hopefully these local tips will give you plenty of ideas about how to see the best of Noosa without spending a fortune. Let me know, what are your favourite things to do in Noosa?